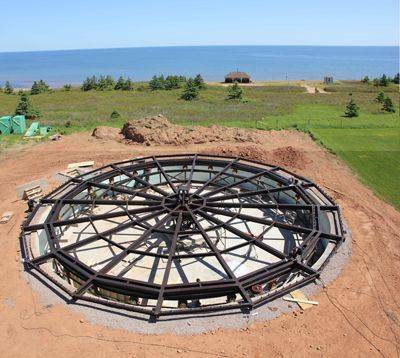 North Rustico, Prince Edward Island - 130 Lantern Hill Dr. 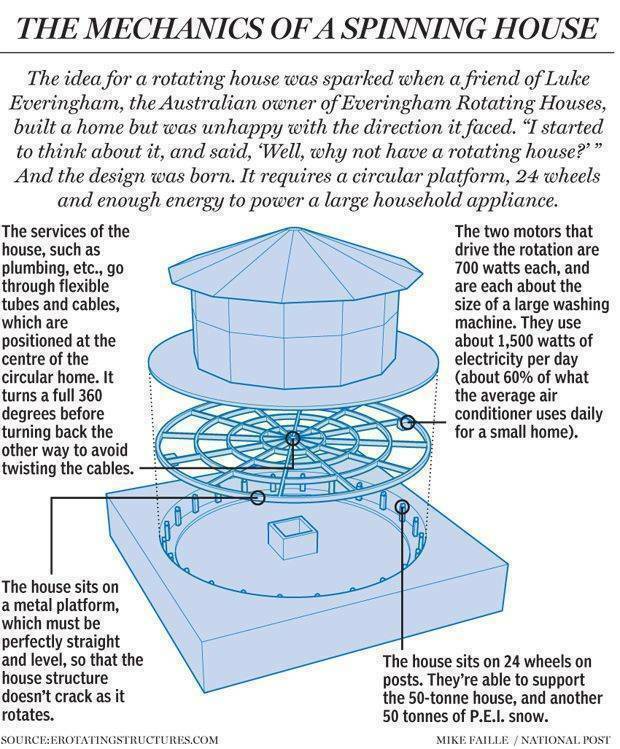 The world's first rotating home with rental condo suites. 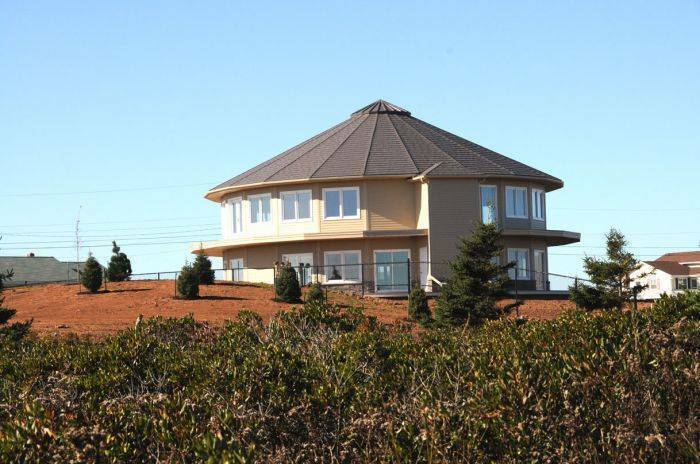 Overlooking the spectacular North Shore of PEI, this one-of-a-kind home borders North Rustico Provincial Park and has a private path for FREE access directly to the beach. Your 625 sqf, 2 bdrm, luxury suite has en suite bathroom, full kitchen, living room, dishwasher, kitchen bar, & living room. Finished with all the amenities, this 4 person suite opens up to your own 50' sun deck deck with bbq. 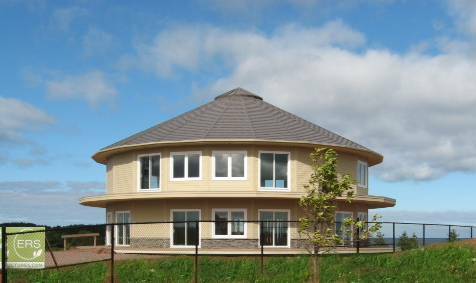 This special home, constructed in 2012, rotates throughout the day to provide all guests with ocean, cliff, pastoral, & village views of beautiful North Rustico. 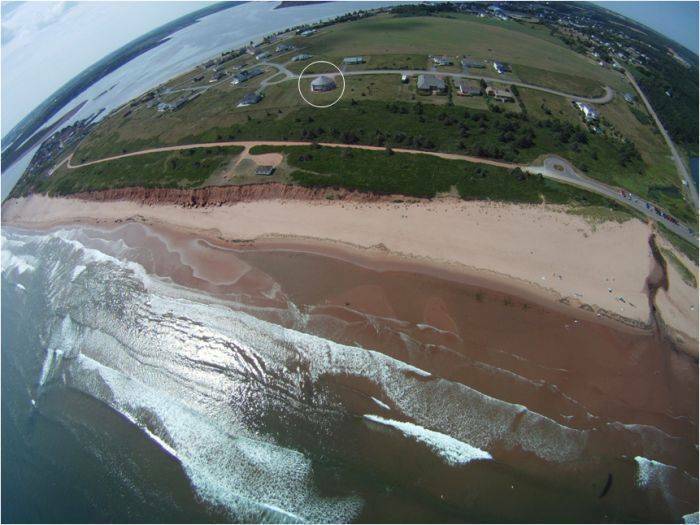 5 min walk to North Rustico Village shops, restaurants, deep sea fishing, & boardwalk. 5 min drive to liquor/beer store. 10 min drive to Cavendish & Anne of Green Gables. 10 min drive to Cavendish golf course and New Glasgow Golf course. 10 min walk to lobster suppers & grocery store. 25 min drive to Charlottetown. 40 min drive to Summerside. Weekly tours of the basement of the rotating house. Weekly rate runs from Saturday afternoon to Saturday morning. Check in is after 3pm and check out is by 11am. The opening season rate is $1795 CAD (plus 14% HST) beginning on June 22nd until September 7th, 2013 and includes a picnic basket brunch for delivered to your door to eat in or take to the beach. Don't Miss out - we recommend that you contact us early as P.E.I. is very busy during the summer months. Reservation requests are accepted via email and confirmed upon receipt of a 50% deposit towards the rental rate. Remainder to be paid one month before date of arrival. A deposit for 50% of the rental rate must be received within 2 weeks of your reservation request to confirm the booking. A $300 damage deposit is also required at the time of booking and is fully refundable when you leave, assuming there is no damage to the suite. Cancellations made prior to three months from the start of your stay are fully refundable. Unfortunately, we are a small business and lost bookings represent a loss to us and a missed opportunity for others. A 20% charge will be deducted from your deposit if you cancel within three months of the scheduled arrival with the deduction climbing to 100% if the cancellation is made within one month of the scheduled arrival date. You can send a cheque payable to “Around the Sea” to 541 Thornhill Woods Drive, Thornhill, ON L4J 8Z9 or send an e-mail money transfer. A receipt will be mailed or e-mailed to you with showing your deposit. We understand and respect the privacy of our visitors. Your email address and information will not be shared with any other businesses. You have our promise. *Contact us to discuss how we can assist with your family reunion, wedding party or friends in our 4 ocean front suites. *The information above is subject to change. Please contact us if you have any questions. 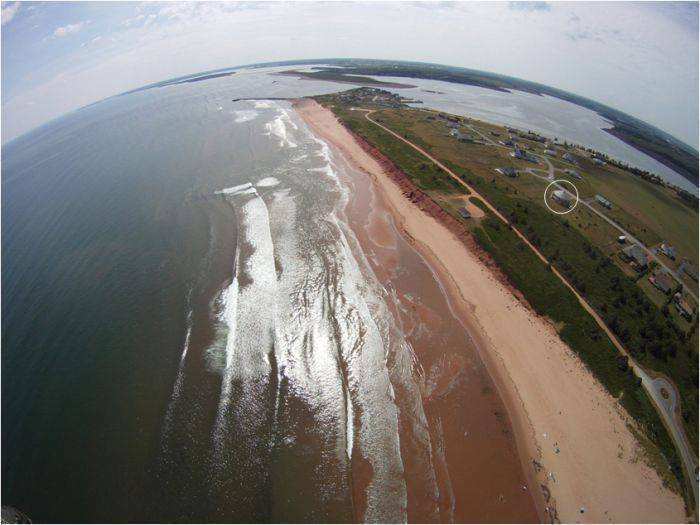 Off of route 6 in North Rustico on to Harbourview Drive. Lantern Hill Dr. is the 3rd street on the left.